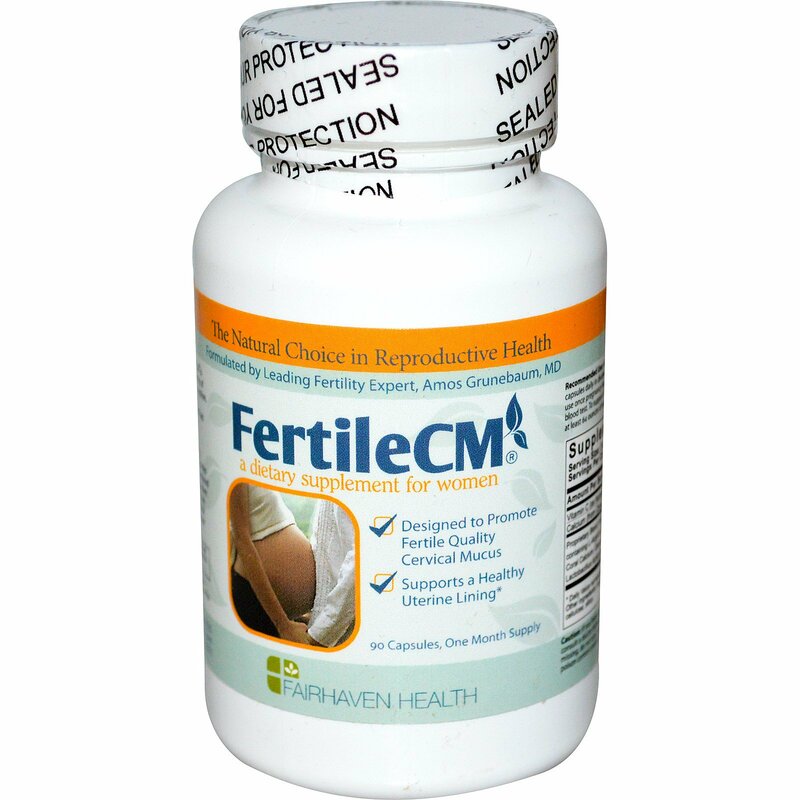 Formulated by leading fertility expert, Amos Grunebaum, MD FertileCM is designed to promote fertility by increasing both the quality and quantity of cervical mucus (CM) - the bodily fluid so important to fertility and conception. FertileCM addresses one of the most common problems that trying-to-conceive women may face: insufficient cervical fluids or "hostile" cervical mucus that can inhibit the transport of sperm to the egg. 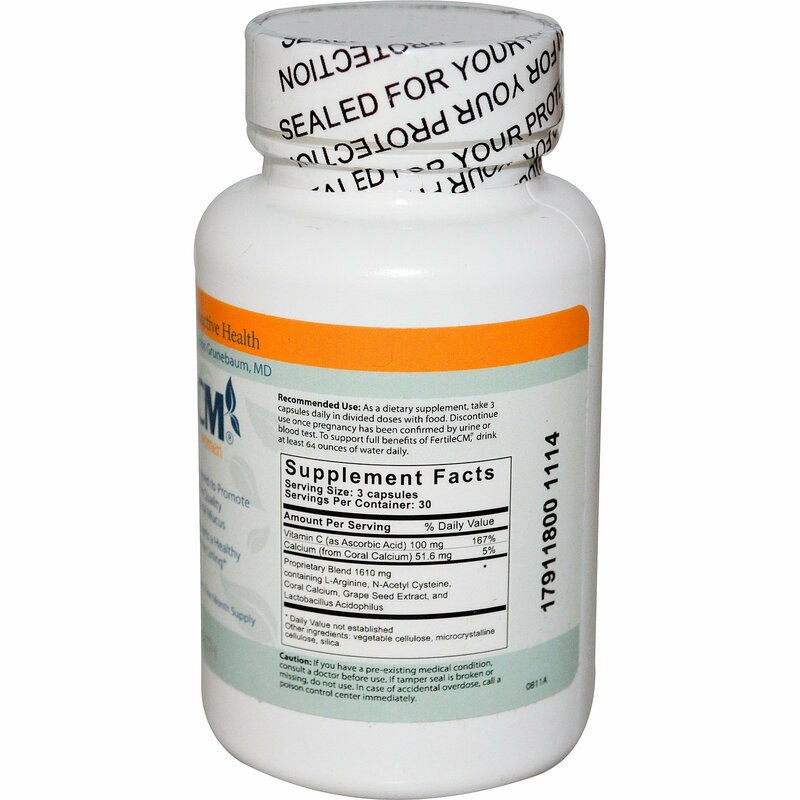 As a dietary supplement, take 3 capsules daily in divided doses with food. Discontinue use once pregnancy has been confirmed by urine or blood test. To support full benefits of FertileCM, drink at least 64 ounces to water daily. Vegetable cellulose, microcrystalline cellulose, silica. Caution: If you have a pre-existing medical condition, consult a doctor before use. If tamper seal is broken or missing, do not use. In case of accidental overdose, call a poison control center immediately. Store in a cool, dry place. Keep out of reach of children. Color of this product may vary due to color variations of the natural ingredients.